Every business has invoice-based dealings at some point. In the healthcare and fitness sector, invoices are very important. Building an invoice format isn’t really time-consuming but still businesses prefer ready-to-customize templates over starting from scratch. 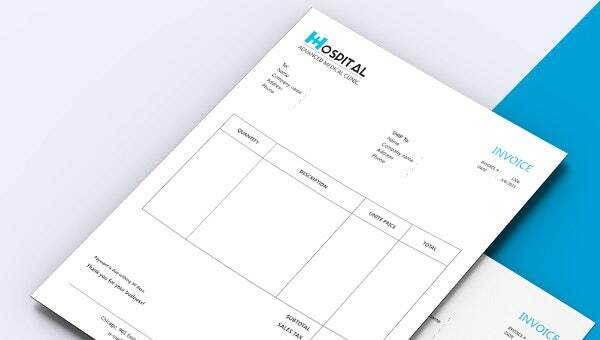 Well, we have got for you Health Invoice Template which you can easily utilize to create your own invoice for use in your healthcare or fitness facility. The format of the invoice template includes specifics such as Quantity, Description, Unit Price, Total, Sub-Total, Sales Tax, Vat and Total Due. The design is simple and professional. The template can be customized very conveniently.